Children are always out for an adventure. They are energetic and full of imagination. 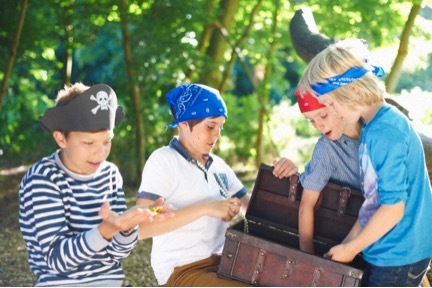 Why not channel those creative juices into a fun activity like a treasure hunt? Imagine those cute little faces light up every time they solve a clue and find a treasure! All the hard work in organizing the treasure hunt will surely pay off. The Treasure Hunt can vary from simple to complex. You can tell the children that there are “hidden treasures” for them to find. No clues, just happy kids running around trying to look for these treasures. Or, if you want the Treasure Hunt to be more challenging, give the children clues to solve the puzzle. It could be a riddle or a picture puzzle they need to put together. For older kids, another idea would be to have a challenge per clue station. Give them a task they need to finish like singing the chorus of the birthday child’s favorite song or toss & catch an egg for at least 4 times without it breaking, before the next clue is handed to them. That will get their adrenalin running. The kids will not just have fun, but they will learn the importance of working together as a team. What fun it would be to hear their happy shrieks once they find the prize! Coming up with the clues to lead these children to the treasure is a challenge, but it will definitely be worth it. Make sure that your clues are age appropriate so the children would not find it either too boring or too difficult. A theme brings together all the elements of your party. It can also inspire you how to present the clues and prizes. Here are some theme ideas that you could help jumpstart your party plans. Scatter magical pieces in hidden places for kids to find. The magician entices the kids by giving out the first clue. 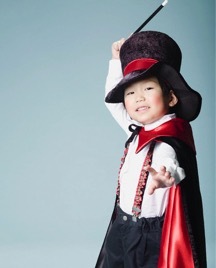 Disperse the kids to find magical pieces like capes, wands, top hats, and toy rabbits. The kid who gets dressed as a magician first wins. List down clues to help find whimsical items like fairy dust, flowers, hair ribbons, and bracelets. Have the kids figure out where these are hidden. The kid who gathers all items first will be given a special prize, while the other kids get runner up prizes. Create 2 sets of superhero costumes containing a cape, mask, and gloves. Hide the pieces in different places. Divide the children into two groups. The first group who can find one whole set wins a prize! Hide different kinds of scepters and crowns for all the little princesses to find! You can even make it color-coded. Each child can be assigned a color motif that she needs to look for. If she has been assigned Pink, then she needs to look for the pink scepter and crown. If she finds another color, she has to leave it where she finds it for the other girls to find. Treasure hunting is one of the things that pirates are known for. Make a map out of tea or coffee-stained paper to make the map look antique. Plot the locations of the clues on the map. The children will be led to a treasure chest filled with toys, treats, food, and more games! Yabadoo Kids Parties has incredibly talented characters that are sure to spice up your treasure hunt themed party. You can sit back, relax, watch the kids have fun, and let us take care of the fun games and entertainment for you. Enquire or book your party with us now!